When you dream about the perfect kitchen, it's hard to make that dream materialize in reality. The kitchen is one of the most important spaces in your home; you use it every day. There are many ways to renovate it, so we've created a great list to point you in the right direction. 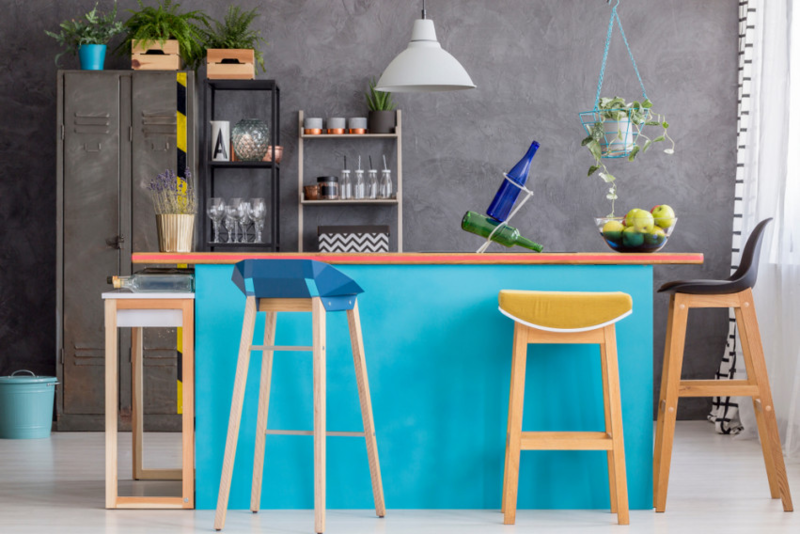 Here are 7 ways to turn your boring kitchen into the one from your dreams! You don't always have to rip out and replace the old cabinets for a fresh look. If the cabinets are just tarnished or scuffed, try repainting them! It's a low-cost way to really refresh the look of the kitchen. Just remember not to skip any steps. Even though it's cost effective, following the proper steps are necessary to make them look as new as possible after repainting. You can completely update the look of the sink by just replacing a few parts of it. 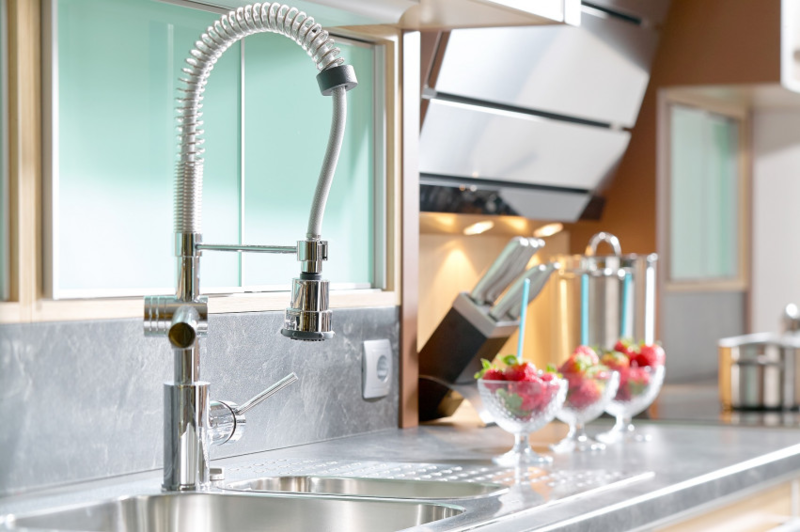 Rather than breaking the bank and replacing the whole unit, look for a shiny new faucet, spouts, valves, and handes. These are the parts of the sink that are typically touched and scratched, so they probably need to be replaced! Purchase some new knobs and drawer handles. Look for ones with a classic finish such as stainless steel. This will give your cabinets and drawers that "brand new" look, especially if you currently have old or plastic handles. Even a DIY novice can replace these with little difficulty. If you plan to repaint the cabinets, finish this step last. Otherwise, it can damage the newly applied paint. 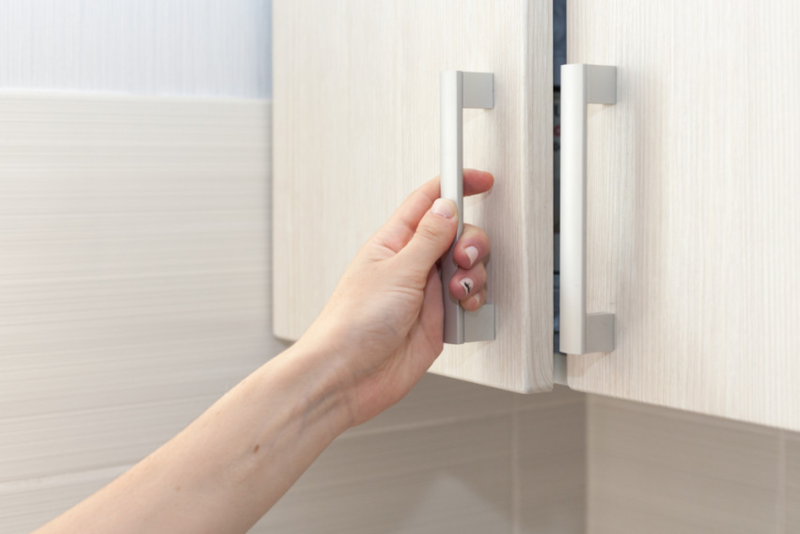 A more "out of the box" idea would be to revamp your kitchen efficiency! Try switching up how you store your food, spices, pots, pans, and appliances. Look at your kitchen and try to find ways to organize things in a more efficient or stylish way. For example, pots and pans have long handle that fit well in tall cabinets or on overhead racks. 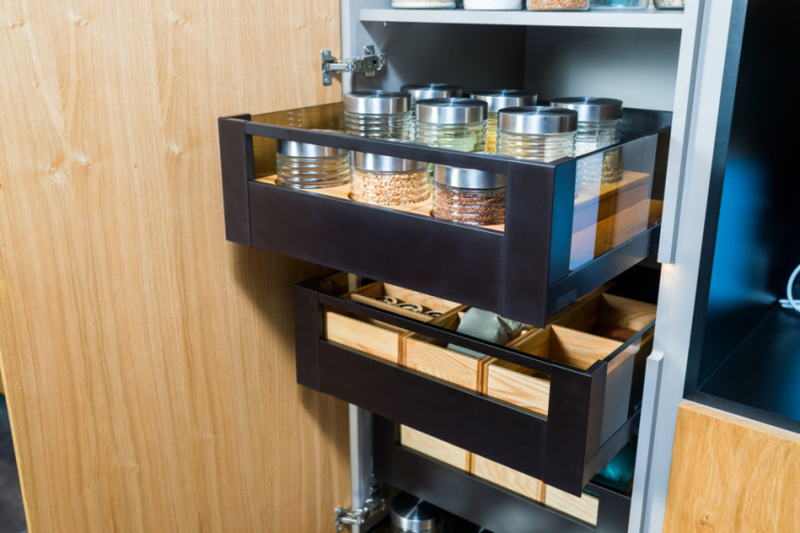 Smaller food stuffs and spices can be put into drawers for easy access while cooking. If you end up achieving a more organized kitchen, you'll give the room a whole new feel! Since new paint is a must for any real kitchen transformation, why stop at the cabinets? If you have the patience for it, try painting the whole kitchen! Painting the island a different color from the rest of the kitchen is a popular technique. 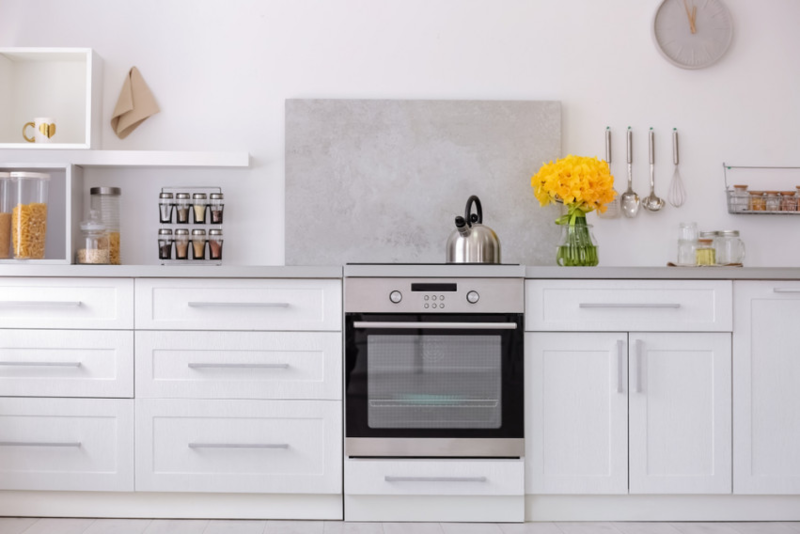 While white kitchens are still popular, soft grays are coming up. You can even look into hiring a painter. It's cheaper than you might think, and totally worth it! Most people totally forget about the backsplash. Or, worse yet, don't even know what a backsplash is! It's the wall behind the stove, and it's essential to have a stylish kitchen! If you have never replaced it, it probably looks dated. You can use the kitchen's backsplash to compliment the kitchen or to display a bold contrast. 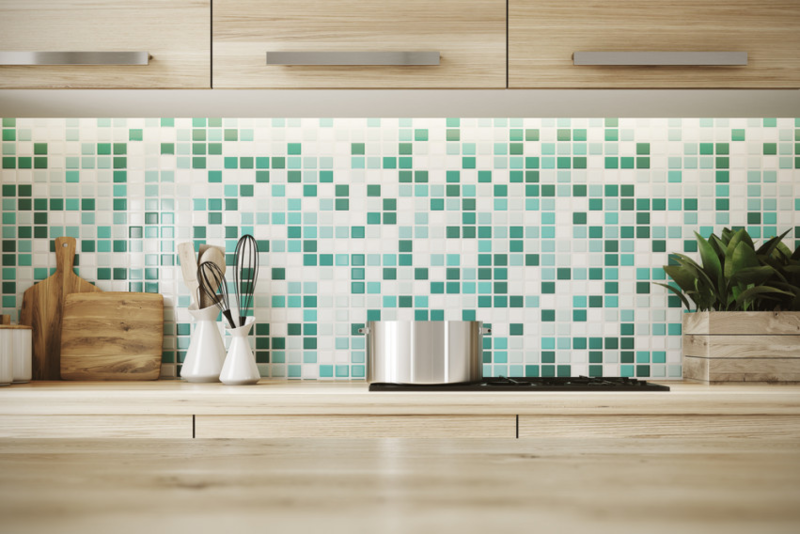 There are countless ways to update the backsplash. You can do tiles, mosaics, stainless steel, or even peel-and-stick! Try googling "kitchen backsplash ideas" for inspiration! If you try even a few of these tips, your kitchen will look rejuvenated in no time! These 6 tips come from years of experience... We know how to make a kitchen look good, and how to do it on the cheap! When you finish one of these projects, shoot us an email with a picture of the final product! We think you'll be asking your kitchen, "What's cookin' good looking?" in no time!